A team of scientists led by the University of Southampton has demonstrated a groundbreaking new method of gene synthesis - a vital research tool with real-world applications in everything from growing transplantable organs to developing treatments for cancer. These methods have been used to assemble very long DNA strands, such as an organism's genome (its entire set of genes), but are limited because of their reliance on enzymes. One of the main shortcomings is that they do not allow the incorporation into specific sites on the DNA of epigenetic information - a secondary layer of genetic information that controls the expression (the 'switching on' or 'off') of genes in cells. In a study published today [Monday 11 September] in the journal Nature Chemistry, scientists at the University of Southampton, in collaboration with partners at the University of Oxford and ATDBio (a DNA synthesis company based in Southampton and Oxford), demonstrate a purely chemical method for gene assembly which overcomes the limitations of existing methods. 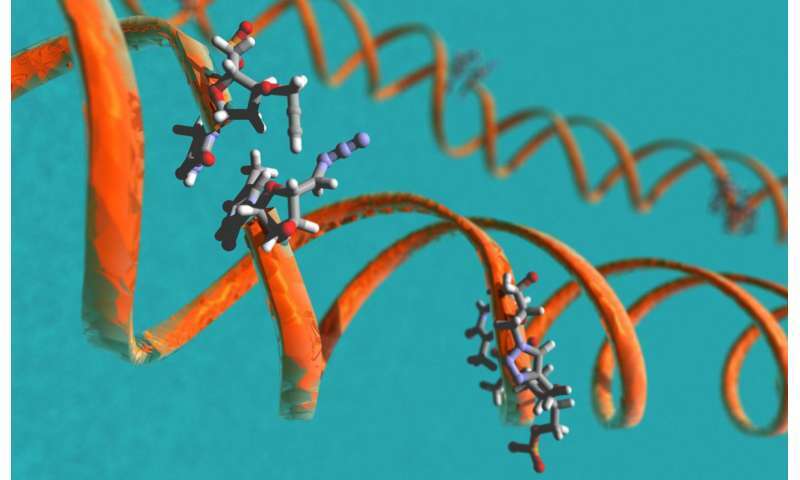 Click-linking DNA creates 'scarring' in the backbone of the DNA, but previous work by the team has shown that the function of the resulting DNA strand in bacteria and human cells is unaffected. Ali Tavassoli, Professor of Chemical Biology at the University of Southampton, who led the study, said: "Our approach is a significant breakthrough in gene synthesis. Not only have we demonstrated assembly of a gene using click-chemistry, we have also shown that the resulting strand of DNA is fully functional in bacteria, despite the scars formed by joining fragments. "Genome synthesis will play an increasingly important role in scientific research. We believe our purely chemical approach has the potential to significantly accelerate efforts in this vitally important area, and ultimately lead to a better understanding of biological systems." Study co-author Professor Tom Brown, of the University of Oxford, who is also a visiting professor at the University of Southampton, commented: "The synthesis of chemically modified genes, which we have achieved by a radical new approach, will become ever more important as the effects of epigenetically modified DNA on gene expression become clear. "We started the underpinning work on click ligation over 10 years ago, so it's very satisfying to now be at the stage where we can demonstrate this workable and highly effective new approach to gene synthesis."